Welcome to Action Concrete & Fence. We are a family-owned and operated business with over 30 years of experience providing concrete and fence solutions to the people of the North Texas area. We are insured for any type or size of project, including residential, commercial and industrial work. Whether you are interested in getting a new driveway, patio, sidewalk, or retaining wall or would like to have a new ornamental iron, wooden security, chainlink fence or dog kennels, our skilled staff will work hard to give you the quality, great-looking results you want. We offer outstanding, custom work, and every one of our jobs is performed individually, so you can feel confident that your needs are given our full attention. 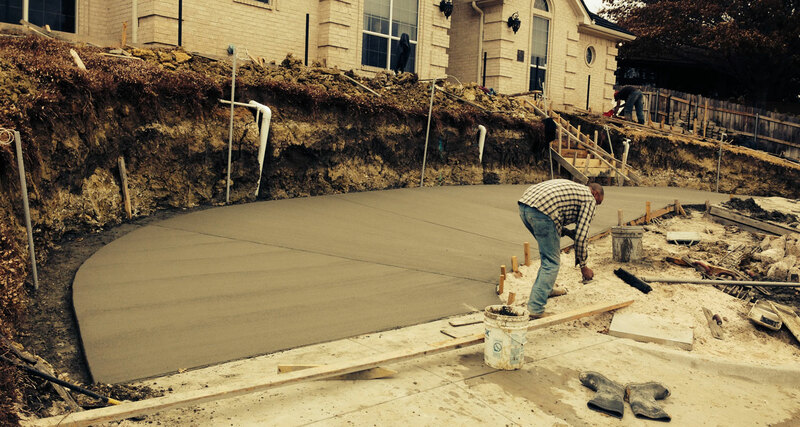 When you’re handling a project involving concrete, you need an experienced professional to handle the job. Action Concrete & Fence has assisted local residents and business owners with their concrete needs for more than thirty years. Our team will examine the site in need of concrete and determine how much is needed for the job. We’ll provide you with a written estimate and walk you through the process prior to beginning our work and only move forward once we’ve gotten your approval. Your new concrete will be dry and ready for use after 30 days of being cured! We design and build all types of residential and commercial fencing products. Whether you need a fence for privacy or for pool safety, to keep your dog or other pet on your property or just to outline your garden or yard, we are the fence contractors you can count on for sturdy construction and quick installation. In fact, we are one of the leading fence installation companies in the area! We specialize in all your fencing needs. We would love to help you get started on creating a fantastic environment for your home or commercial project. At Action Concrete & Fence, we specialize quality concrete and fence services. Unfortunately, over time wear and tear takes its toll on your concrete and fencing. When this happens it is time to look for a honest reliable contractor to handle the job. Thats where Action Concrete & Fencing comes in. Our friendly qualified staff are here to help you every step of the way. From cracked concrete, missing planks in your fence or even a rusted metal fence; We have the tools and know how to accomplish it all.